Cruises from New York to New England & Canada are popular, particularly in the autumn when the leaves are colorful. You'll stop in interesting ports along the way and enjoy terrific scenery. Below is the full schedule of departures, divided into round-trip and one-way categories. One-way cruises end at Montreal or Quebec City. Saint John (New Brunswick) is a stop on almost every Canada and New England cruise itinerary. One of its main attractions is the Bay of Fundy, which is well-known for having one of the greatest tidal ranges in the world. It is a natural wonder that you won't want to miss. You might also want to consider a cruise to Canada from Boston. They have many departures and some different itineraries from NYC. May 11, 2019: 7-day cruise to Canada & New England on Norwegian Cruise Line. Round-trip from New York to Halifax (Nova Scotia), Saint John (New Brunswick), Bar Harbor (Maine), Portland (Maine) and Newport (Rhode Island). May 18, 2019: 7-day cruise to Canada & New England on Norwegian Cruise Line. Round-trip from New York to Halifax (Nova Scotia), Saint John (New Brunswick), Bar Harbor (Maine), Portland (Maine) and Newport (Rhode Island). May 25, 2019: 6-night cruise to Canada & New England on Royal Caribbean. Round-trip from Cape Liberty (NJ) to Bar Harbor (Maine), Saint John (New Brunswick) and Halifax (Nova Scotia). June 1, 2019: 7-day cruise to Canada & New England on Norwegian Cruise Line. Round-trip from New York to Halifax (Nova Scotia), Saint John (New Brunswick), Bar Harbor (Maine), Portland (Maine) and Newport (Rhode Island). June 8, 2019: 6-night cruise to Canada & New England on Royal Caribbean. Round-trip from Cape Liberty (NJ) to Bar Harbor (Maine), Saint John (New Brunswick) and Halifax (Nova Scotia). June 8, 2019: 7-day cruise to Canada & New England on Norwegian Cruise Line. Round-trip from New York to Halifax (Nova Scotia), Saint John (New Brunswick), Bar Harbor (Maine), Portland (Maine) and Newport (Rhode Island). June 22, 2019: 6-night cruise to Canada & New England on Royal Caribbean. Round-trip from Cape Liberty (NJ) to Bar Harbor (Maine), Saint John (New Brunswick) and Halifax (Nova Scotia). July 6, 2019: 6-night cruise to Canada & New England on Royal Caribbean. Round-trip from Cape Liberty (NJ) to Bar Harbor (Maine), Saint John (New Brunswick) and Halifax (Nova Scotia). July 20, 2019: 6-night cruise to Canada & New England on Royal Caribbean. Round-trip from Cape Liberty (NJ) to Bar Harbor (Maine), Saint John (New Brunswick) and Halifax (Nova Scotia). August 3, 2019: 6-night cruise to Canada & New England on Royal Caribbean. Round-trip from Cape Liberty (NJ) to Bar Harbor (Maine), Saint John (New Brunswick) and Halifax (Nova Scotia). August 17, 2019: 6-night cruise to Canada & New England on Royal Caribbean. Round-trip from Cape Liberty (NJ) to Bar Harbor (Maine), Saint John (New Brunswick) and Halifax (Nova Scotia). August 29, 2019: 9-night cruise to Canada & New England on Royal Caribbean. Round-trip from Cape Liberty (NJ) to Boston, Portland (Maine), Bar Harbor (Maine), Saint John (New Brunswick) and Halifax (Nova Scotia). August 31, 2019: 6-night cruise to Canada & New England on Royal Caribbean. Round-trip from Cape Liberty (NJ) to Bar Harbor (Maine), Saint John (New Brunswick) and Halifax (Nova Scotia). September 8, 2019: 14-night Canada & New England cruise on Celebrity Cruises. Round-trip from Cape Liberty (New Jersey) to Boston, Portland (Maine), Bar Harbor (Maine), Quebec City (Quebec), Charlottetown (Prince Edward Island), Sydney (Nova Scotia) and Halifax (Nova Scotia). September 12, 2019: 9-night cruise to Canada & New England on Royal Caribbean. Round-trip from Cape Liberty (NJ) to Boston, Portland (Maine), Bar Harbor (Maine), Saint John (New Brunswick) and Halifax (Nova Scotia). September 22, 2019: 14-night Canada & New England cruise on Celebrity Cruises. Round-trip from Cape Liberty (New Jersey) to Boston, Portland (Maine), Bar Harbor (Maine), Quebec City (Quebec), Charlottetown (Prince Edward Island), Sydney (Nova Scotia) and Halifax (Nova Scotia). September 26, 2019: 9-night cruise to Canada & New England on Royal Caribbean. Round-trip from Cape Liberty (NJ) to Boston, Portland (Maine), Bar Harbor (Maine), Saint John (New Brunswick) and Halifax (Nova Scotia). October 6, 2019: 14-night Canada & New England cruise on Celebrity Cruises. Round-trip from Cape Liberty (New Jersey) to Boston, Portland (Maine), Bar Harbor (Maine), Quebec City (Quebec), Charlottetown (Prince Edward Island), Sydney (Nova Scotia) and Halifax (Nova Scotia). October 8, 2019: 10-night cruise to Canada on MSC. Round-trip from New York to Sydney (Nova Scotia), Corner Brook (Newfoundland), Charlottetown (Prince Edward Island) and Quebec City (Quebec). October 10, 2019: 9-night cruise to Canada & New England on Royal Caribbean. Round-trip from Cape Liberty (NJ) to Boston, Portland (Maine), Bar Harbor (Maine), Saint John (New Brunswick) and Halifax (Nova Scotia). October 18, 2019: 10-night cruise to Canada & New England on MSC. Round-trip from New York to Bar Harbor (Maine), Saint John (New Brunswick), Halifax (Nova Scotia), Sydney (Nova Scotia), Portland (Maine) and Boston (Massachusetts). October 24, 2019: 9-night cruise to Canada & New England on Royal Caribbean. Round-trip from Cape Liberty (NJ) to Boston, Portland (Maine), Bar Harbor (Maine), Saint John (New Brunswick) and Halifax (Nova Scotia). May 15, 2020: 6-night cruise to Canada & New England on Royal Caribbean. Round-trip from Cape Liberty (NJ) to Bar Harbor (Maine), Saint John (New Brunswick) and Halifax (Nova Scotia). May 19, 2020: 9-night Canada & New England cruise on Celebrity Cruises. Round-trip from Cape Liberty (New Jersey) to Portland (Maine), Bar Harbor (Maine), Saint John (New Brunswick), Sydney (Nova Scotia) and Halifax (Nova Scotia). May 23, 2020: 7-day cruise to Canada & New England on Norwegian Cruise Line. Round-trip from New York to Halifax (Nova Scotia), Saint John (New Brunswick), Bar Harbor (Maine), Portland (Maine) and Newport (Rhode Island). May 28, 2020: 9-night Canada & New England cruise on Celebrity Cruises. Round-trip from Cape Liberty (New Jersey) to Portland (Maine), Bar Harbor (Maine), Saint John (New Brunswick), Sydney (Nova Scotia) and Halifax (Nova Scotia). May 30, 2020: 7-day cruise to Canada & New England on Norwegian Cruise Line. Round-trip from New York to Halifax (Nova Scotia), Saint John (New Brunswick), Bar Harbor (Maine), Portland (Maine) and Newport (Rhode Island). June 4, 2020: 9-night cruise to Canada & New England on Royal Caribbean. Round-trip from Cape Liberty (NJ) to Boston, Portland (Maine), Bar Harbor (Maine), Saint John (New Brunswick) and Halifax (Nova Scotia). June 6, 2020: 7-day cruise to Canada & New England on Norwegian Cruise Line. Round-trip from New York to Halifax (Nova Scotia), Saint John (New Brunswick), Bar Harbor (Maine), Portland (Maine) and Newport (Rhode Island). June 13, 2020: 7-day cruise to Canada & New England on Norwegian Cruise Line. Round-trip from New York to Halifax (Nova Scotia), Saint John (New Brunswick), Bar Harbor (Maine), Portland (Maine) and Newport (Rhode Island). June 16, 2020: 12-night Boston, Maine & Canada cruise on Celebrity Summit. Round-trip from Cape Liberty (New Jersey) to Boston (Massachusetts), Portland (Maine), Bar Harbor (Maine), Quebec City (Quebec) and Halifax (Nova Scotia). July 15, 2020: 9-night cruise to Canada & New England on Royal Caribbean. Round-trip from Cape Liberty (NJ) to Boston, Portland (Maine), Bar Harbor (Maine), Saint John (New Brunswick) and Halifax (Nova Scotia). August 27, 2020: 9-night cruise to Canada & New England on Royal Caribbean. Round-trip from Cape Liberty (NJ) to Boston, Portland (Maine), Bar Harbor (Maine), Saint John (New Brunswick) and Halifax (Nova Scotia). August 30, 2020: 7-day cruise to Canada & New England on Norwegian Cruise Line. Round-trip from New York to Portland (Maine), Bar Harbor (Maine), Saint John (New Brunswick) and Halifax (Nova Scotia). September 10, 2020: 9-night cruise to Canada & New England on Royal Caribbean. Round-trip from Cape Liberty (NJ) to Boston, Portland (Maine), Bar Harbor (Maine), Saint John (New Brunswick) and Halifax (Nova Scotia). September 13, 2020: 7-day cruise to Canada & New England on Norwegian Cruise Line. Round-trip from New York to Portland (Maine), Bar Harbor (Maine), Saint John (New Brunswick) and Halifax (Nova Scotia). September 20, 2020: 7-day cruise to Canada & New England on Norwegian Cruise Line. Round-trip from New York to Portland (Maine), Bar Harbor (Maine), Saint John (New Brunswick) and Halifax (Nova Scotia). September 24, 2020: 9-night cruise to Canada & New England on Royal Caribbean. Round-trip from Cape Liberty (NJ) to Boston, Portland (Maine), Bar Harbor (Maine), Saint John (New Brunswick) and Halifax (Nova Scotia). September 27, 2020: 7-day cruise to Canada & New England on Norwegian Cruise Line. Round-trip from New York to Portland (Maine), Bar Harbor (Maine), Saint John (New Brunswick) and Halifax (Nova Scotia). October 8, 2020: 9-night cruise to Canada & New England on Royal Caribbean. Round-trip from Cape Liberty (NJ) to Boston, Portland (Maine), Bar Harbor (Maine), Saint John (New Brunswick) and Halifax (Nova Scotia). October 22, 2020: 9-night cruise to Canada & New England on Royal Caribbean. Round-trip from Cape Liberty (NJ) to Boston, Portland (Maine), Bar Harbor (Maine), Saint John (New Brunswick) and Halifax (Nova Scotia). September 1, 2019: 10-day cruise to Canada on Oceania. One-way from New York to Montreal (Canada). Visit Newport (Rhode Island), Boston (Massachusetts), Bar Harbor (Maine), Saint John (New Brunswick), Halifax (Nova Scotia), Sept-Iles (Quebec), Saguenay (Quebec) and Quebec City (Quebec). September 3, 2019: 10-night cruise to Canada on Regent Seven Seas. One-way from New York to Montreal (Canada). Visit Newport (Rhode Island), Boston, Bar Harbor (Maine), St John (New Brunswick), Halifax (Nova Scotia), Gaspe (Quebec), Saguenay (Quebec) and Quebec City (Quebec). September 6, 2019: 10-night cruise to Canada & New England on Royal Caribbean. One-way from Cape Liberty (NJ) to Quebec City (Canada). 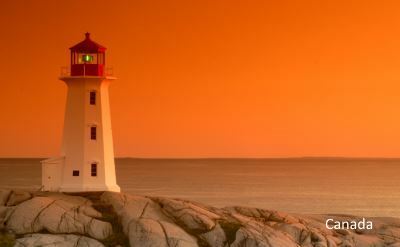 Visit Bar Harbor (Maine), Portland (Maine), Saint John (New Brunswick), Halifax (Nova Scotia), Sydney (Nova Scotia) and Charlottetown (Prince Edward Island). September 13, 2019: 10-night cruise to Canada on Regent Seven Seas. One-way from New York to Montreal (Canada). Visit Newport (Rhode Island), Boston, Bar Harbor (Maine), St John (New Brunswick), Halifax (Nova Scotia), Gaspe (Quebec), Saguenay (Quebec) and Quebec City (Quebec). September 27, 2019: 11-day cruise to Canada on Oceania. One-way from New York to Montreal (Canada). Visit Newport (Rhode Island), Boston (Massachusetts), Bar Harbor (Maine), Saint John (New Brunswick), Halifax (Nova Scotia), Sydney (Nova Scotia), Charlottetown (Prince Edward Island) and Quebec City (Quebec). September 27, 2019: 10-night cruise to Canada & New England on Royal Caribbean. One-way from Cape Liberty (NJ) to Quebec City (Canada). Visit Bar Harbor (Maine), Portland (Maine), Saint John (New Brunswick), Halifax (Nova Scotia), Sydney (Nova Scotia) and Charlottetown (Prince Edward Island). September 27, 2019: 12-day cruise to Canada on Holland America Line. One-way from New York to Quebec City (Quebec). Visit Newport (Rhode Island), Gloucester (Massachusetts), Portland (Maine), Bar Harbor (Maine), Halifax (Nova Scotia), Sydney (Nova Scotia), Charlottetown (Prince Edward Island) and Saguenay (Quebec). September 28, 2019: 10-day cruise to Canada on Silversea. One-way from New York to Montreal (Canada). Visit Newport (Rhode Island), Boston (Massachusetts), Bar Harbor (Maine), Halifax (Nova Scotia), Sydney (Nova Scotia), Charlottetown (Prince Edward Island), Saguenay (Quebec) and Quebec City (Quebec). October 11, 2019: 11-day cruise to Canada on Silversea. One-way from New York to Montreal (Canada). Visit Newport (Rhode Island), Boston (Massachusetts), Saint John (New Brunswick), Halifax (Nova Scotia), Sydney (Nova Scotia), Charlottetown (Prince Edward Island) and Quebec City (Quebec). October 19, 2019: 11-day cruise to Canada on Oceania. One-way from New York to Montreal (Canada). Visit Newport (Rhode Island), Boston (Massachusetts), Bar Harbor (Maine), Saint John (New Brunswick), Halifax (Nova Scotia), Sydney (Nova Scotia), Charlottetown (Prince Edward Island) and Quebec City (Quebec). October 19, 2019: 10-day cruise to Canada on Silversea. One-way from New York to Montreal (Canada). Visit Newport (Rhode Island), Bar Harbor (Maine), Saint John (New Brunswick), Halifax (Nova Scotia), Sydney (Nova Scotia), Saguenay (Quebec) and Quebec City (Quebec). September 7, 2020: 10-day cruise to Canada on Holland America Line. One-way from New York to Quebec City (Quebec). Visit Boston (Massachusetts), Bar Harbor (Maine), Halifax (Nova Scotia), Sydney (Nova Scotia), Charlottetown (Prince Edward Island) and Saguenay (Quebec). September 14, 2020: 12-night cruise to Canada on Regent Seven Seas. One-way from New York to Montreal (Canada). Visit Newport (Rhode Island), Boston, Bar Harbor (Maine), St John (New Brunswick), Halifax (Nova Scotia), Havre-Saint-Pierre (Quebec), Sept-Iles (Quebec), Saguenay (Quebec) and Quebec City (Quebec). September 20, 2020: 8-night cruise to Canada on Crystal Cruises. One-way from New York to Quebec City (Quebec). Visit Newport (Rhode Island), Boston (Massachusetts), Bar Harbor (Maine) and Charlottetown (Prince Edward Island). September 24, 2020: 11-day cruise to Canada on Silversea. One-way from New York to Montreal (Canada). Visit Newport (Rhode Island), Boston (Massachusetts), Bar Harbor (Maine), Halifax (Nova Scotia), Sydney (Nova Scotia), Charlottetown (Prince Edward Island), Saguenay (Quebec) and Quebec City (Quebec). September 27, 2020: 10-day cruise to Canada on Holland America Line. One-way from New York to Quebec City (Quebec). 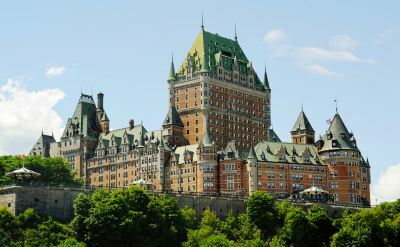 Visit Boston (Massachusetts), Bar Harbor (Maine), Halifax (Nova Scotia), Sydney (Nova Scotia), Charlottetown (Prince Edward Island) and Saguenay (Quebec). October 8, 2020: 10-night cruise to Canada on Regent Seven Seas. One-way from New York to Montreal (Canada). Visit Newport (Rhode Island), Boston, Bar Harbor (Maine), St John (New Brunswick), Halifax (Nova Scotia), Sept-Iles (Quebec), Saguenay (Quebec) and Quebec City (Quebec).